Pastors and teachers from a GFA World-supported church have been praying about this moment for months! The day finally came—Vacation Bible School! A week full of fun and games, these children had a great time. What they didn't expect, though, was the love they received from these pastors and teachers. Through VBS, these children began to realize who loved them even more—Jesus. The little ones enjoy the fun games, exciting Bible stories and lively songs. But most importantly, they're learning about the God who loves them. By the end of the program, they have a Bible in their hands that they can take home to share with their families and continue to grow in the Lord. Everyone loves a good story—especially one that's true and life-changing. 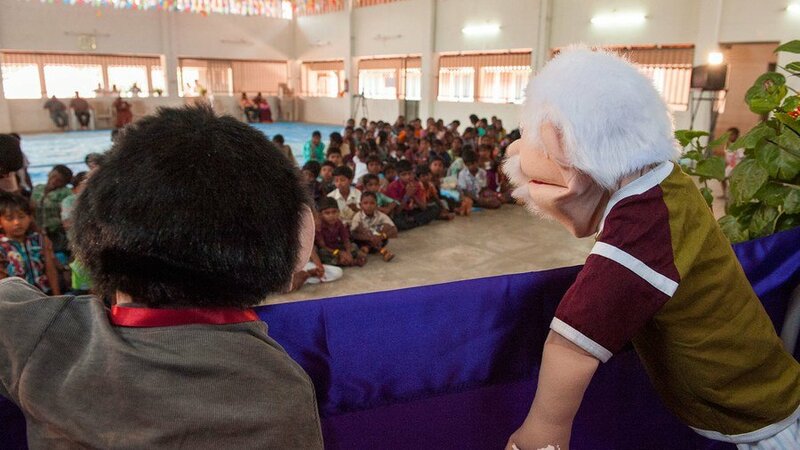 Millions of children in Asia would love to hear the story of Jesus even once. For just $5, your gift of VBS materials for one of these precious children will guarantee that he or she will hear about Jesus' love again and again through skits, Bible songs and teaching and will have colourful Gospel literature to take home. You might have fond childhood memories of learning about God and His Word through Sunday school. Perhaps you sent your kids to Vacation Bible School this past summer. 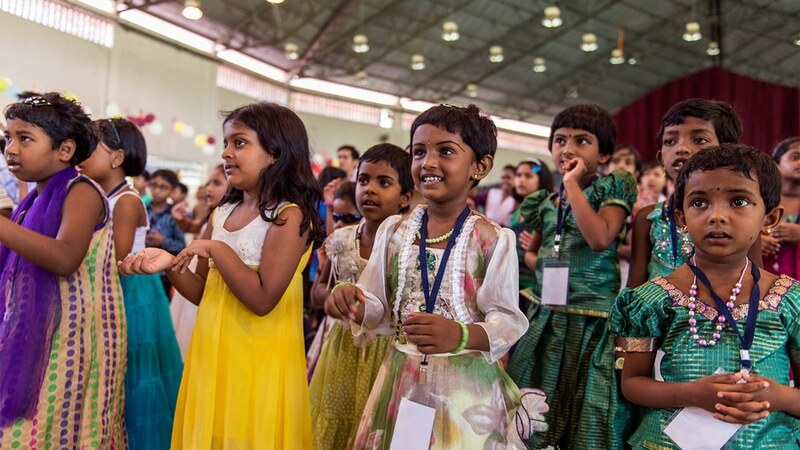 You may not know that Sunday school and VBS programs have proven to be powerful ministries in South Asia, too. Through these Christian education programs, GFA World-supported missionaries provide a fun environment for children to learn spiritual lessons. And reaching out to children often opens doors for adults to hear about the love of Jesus, too. In a small Asian border town, a team of staff and students from a local Bible college conducted a Vacation Bible School in a local believer’s home. The children were so happy that team brought VBS to them. The VBS kicked off with prayer and singing. Students who already attended Sunday School were singing along as they learned actions to go with the music.